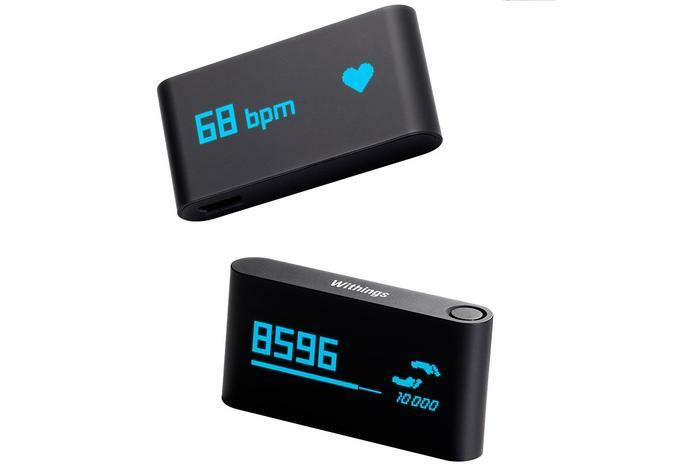 The Pulse is a US$100 tracker that measures steps, elevation, distance, calories burned, heart rate, and sleep quality. It's a small, rounded rectangular, solid-feeling piece of black plastic, with a bright blue LED display. It weighs eight grams. The Pulse pairs via Bluetooth; it works with the iPhone 3GS and newer, along with Android 2.3.3 and higher. It charges via Micro-USB, though the exceedingly tiny charging cable the Pulse ships with strikes me as kind of nutty. Fully charged, the Pulse should offer two weeks of battery life. I haven't recharged mine in 13 days, and it's still showing about a quarter of battery life remaining. If you drain the Pulse down to zero, all is not lost: The device offers another 24 hours of tracking with its display shut off. So if you're the kind of person who doesn't refill the tank until the in-dash warning starts dinging, the Pulse's equivalent is that one day of blank tracking. Besides that tiny Micro-USB cable, the Pulse ships with a rubbery shell with a clip and a fabric wrist strap. You can optionally cram the Pulse into the rubbery shell, which sports a snug solid clip, if you prefer to attach the tracker to your belt loop or bra strap. I drop trackers in my pocket, so I mostly skipped the rubbery shell. The fabric strap is included so that you can sleep with the Pulse comfortably attached to you at the wrist. Some trackers are worn on the wrist full-time, like the Jawbone Up and the Fitbit Flex. Among trackers that aren't permanent wrist residents, the Pulse holds the distinction of having the least frustrating strap accessory: Inserting and removing the Pulse from the strap is no problem. There's a little button at the upper-right corner of the Pulse. You press and hold it for three seconds to force the Pulse to sync. If your connected smartphone supports Bluetooth 4.0 (Bluetooth LE), the Pulse syncs in the background on occasion, too. You tap the button instead of holding it to flip through various screens of info that the Pulse can present. There's your number of steps, elevation climbed in feet, distance walked in miles, and calories burned. One additional screen lets you tell the Pulse you're going to sleep (to initiate sleep tracking), or tell it that you'd like to check your heart rate. Tap the heart icon--or, more accurately in my experience, tap the heart icon a couple times until the Pulse notices--and place your fingertip on the Pulse's rear sensor, and soon enough you'll see your current heart rate. That's a neat feature, if you care about your pulse, and it's one that sets the Pulse apart from most of its step-tracking competitors. Another feature that feels unique to the Pulse is the tracker's ability to show you previous days' worth of data. (You can access historic data in competitors' apps, but not on the trackers themselves.) Swipe across the Pulse's display, and you can see your totals for previous days. That's pretty useful. If I forgot to check my step total last night, my Fitbit Zip always proudly displays a giant goose egg when I first wake up, forcing me to launch its iOS app to see how far I walked yesterday. Weirdly, though, while the Pulse knows the current time, it acts completely unaware of the date. Rather than show something useful like 8/2 or even Fri[day] as you scroll backwards in time, it shows D-1 for one day ago, D-2 for two days ago, and so on. That's goofy. 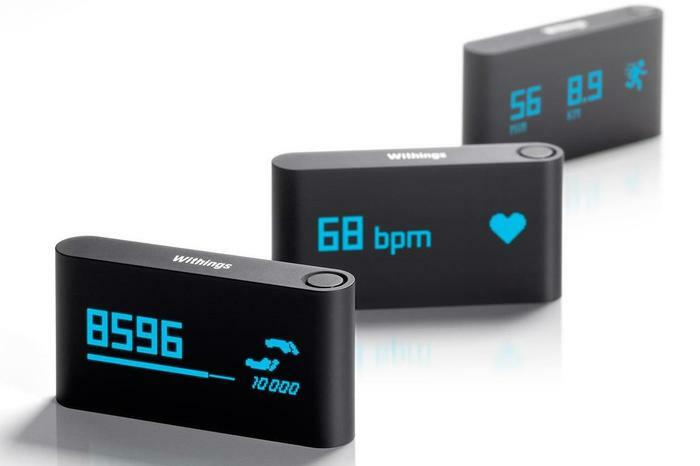 The Pulse automatically tracks the duration and distances of your running and jogging, too. The hardware's primary annoyance: Because of the Pulse's shape, it's not obvious which end is up when you take the thing out of your pocket. Expect to fumble around until the tracker is properly positioned to review your stats on its display. Early Pulse reviews from my peers around the Web have been enthusiastically positive. I'm a little less convinced. The app is largely to blame. That's mostly good news: It's probably the easiest-to-fix aspect of the Pulse tracker. Aesthetically, the app is pleasant enough, and you can customise it to remove elements or rearrange them. That's good. But it's also frustrating. I can find no way to change the app's preset goals. Treadmill desk users like me scoff at a daily steps goal of 10,000, but I can't see anywhere to change it to a more realistic 20,000. The Pulse is brand new, so it's not surprising that there isn't yet a vibrant community of Pulse users to connect with. But it's troublesome to me that there's no evidence of such a network, either. I love being motivated by the obscenely high step counts of some friends on my Fitbit list, and Jawbone's Up app provides a similar option to see how you stack up against your pals. Pulse's lack of an integrated social element is a major bummer. The initial startup experience with the Pulse was awkward: It immediately need to install a software update, and that update hung for me the first time I tried to install it. I've been keeping my Fitbit Zip and the Withings Pulse in my pocket for the past couple weeks. Sometimes, they're more than a thousand steps apart; other days they're within a couple hundred. I can't speak to which one is more accurate, but I'd venture that they're both as reasonably accurate as any such tracker can be. The Pulse's display certainly beats the grayscale LCD, non-backlit Zip's screen--unless you're looking in direct sunlight, where few LED displays shine. It's also better and brighter than Fitbit's other devices' LEDs, and certainly more useful than the wrist-worn Up and Flex, which sacrifice more useful displays for size. If you're plugged into the Withings ecosystem--which includes, notably, their Wi-Fi enabled scales, along with their iOS-compatible blood pressure monitor, the Zeo sleep-tracking headband, and other accessories--the Pulse makes good sense. It's a fine device. I don't love the app. I don't love that when you sync your data manually, it takes longer than you'd expect. I love the ability to measure my heart rate, although it takes too many button presses and taps to enter that mode. For the most part, though, while the Pulse feels different from the Fitbit Zip I love, I can't say that it's better. If you don't mind missing out on the vibrant social community that Fitbit offers, the Pulse is a fine option. 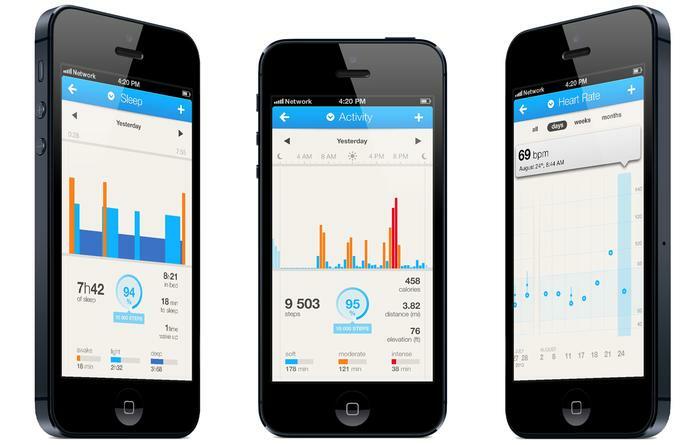 And if you love the pulse-tracking option, it's the only fitness tracker to look at.